Infantino just announced that they are looking for babies 9-18 months to test the new Lights & Sounds Musical Touch Pad. All you need to do is REGISTER HERE & your baby could be one of 24 selected to test the new Touch Pad. Good Luck! Let us know if you get it! . . If you haven’t joined Pampers Gifts to Grow yet, Join now as Pampers are giving away 100 free points to new registrants! Make sure you enter the codes below as well for another 40 points. 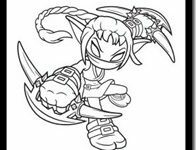 Did You Miss These Codes? Currently unexpired codes (Each worth 10 points) THA2CNKU444FF15 REG5E4TRGM79W14 REG4KT5BB6BAYB5 REGWM5U3MRPA7X9 Log In and take advantage of these codes before they expire. Let Kraft help you plan the perfect celebration with the FREE “Kick Off Your Summer” cookbook! #CookingUpSummer Sponsored post by Lunchbox. 5 Free Pampers Gifts to Grow Points today! Enter code: TWIT89994801FF4 Previous Codes: 15 Free Pampers Gifts to Grow Points Enter code: CMAWWECOPEEQI14 If you are not member of Pampers Gifts to Grow, Join now as Pampers are giving away 100 free points to new registrants. 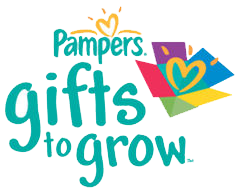 . .
10 Free Pampers Gifts to Grow Points today! If you are not a member of Pampers Gifts to Grow, Join now as Pampers are giving away 100 free points to new registrants. For your 10 free points today enter code: FBHIL8884999414 .